Spring arrives with its own sense of fashion and there are some things that you can do to make an expression during the season. Getting the right clothes for the season is a big step in adjusting to the weather. 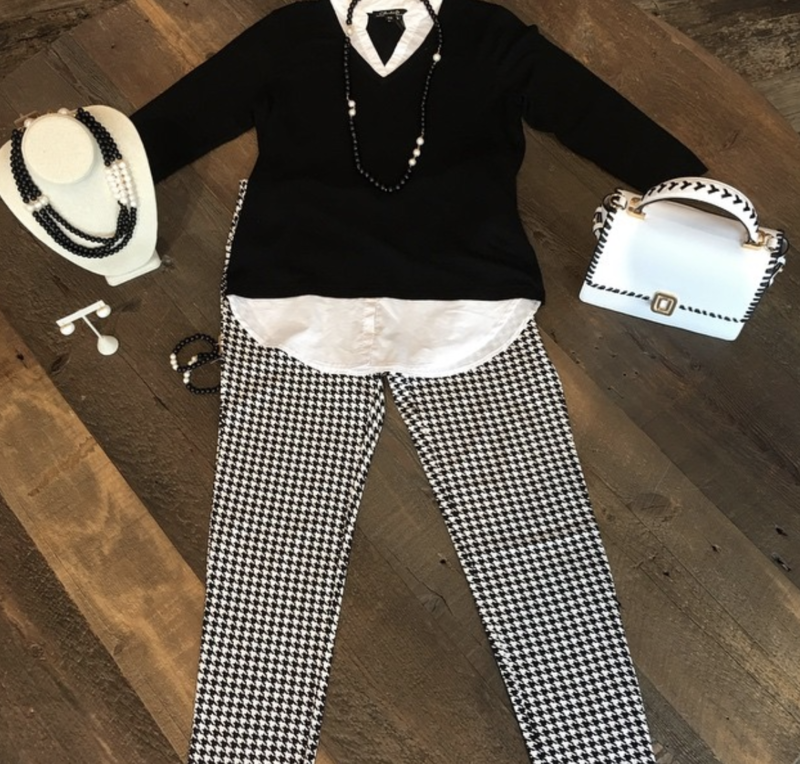 You not only have new items to consider but expanding your wardrobe via the personalized shopping experience that we provide here at Scout and Molly’s of Kiawah can be extremely entertaining! Here are a few of our shop favorites. Loose but fitting are good traits to combine into one blouse and this shirt does that for you. Black with white stripes are the common colors for Joseph Ribkoff’s shirts. You also have the clean look of beige and black to work with what you already have. 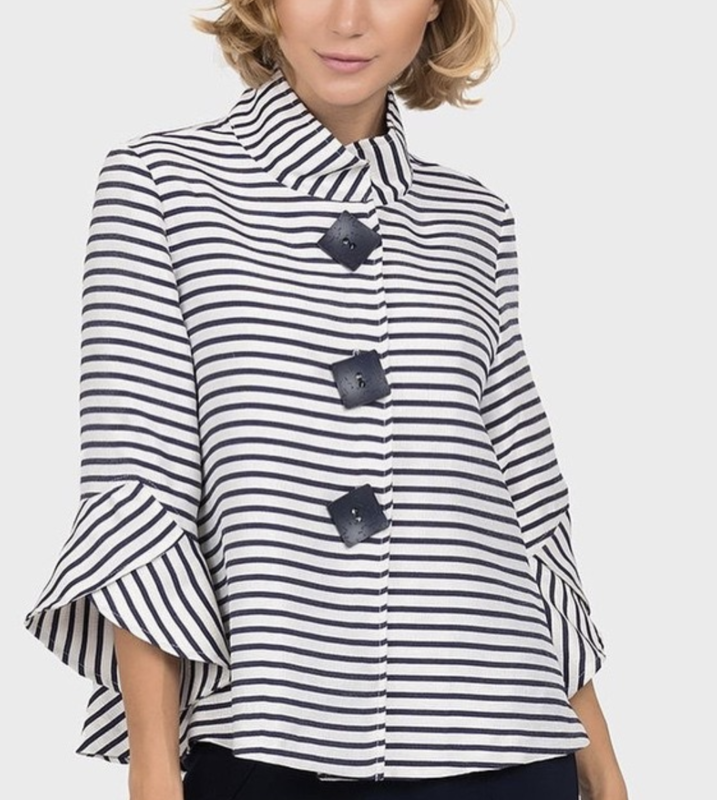 The blouse gives you the right coverage but with a changeup on common lines. Spring brings in higher temps, and you’ll find a breath of air flowing into this shirt with a refreshing, light feel. There’s no point in overhauling your entire wardrobe within a single day. Spring can be tricky, so consider a few layers and have a sweater or two put to the side for safe keeping. When winter is lingering, this Saint Sampson black sweater is a sure go to for warmth. This item will assure you won’t compromise on style. The sweater fits over a shirt, can have nothing underneath and uses loose materials. It is lightweight, and its solid black color goes with anything in your spring wardrobe. 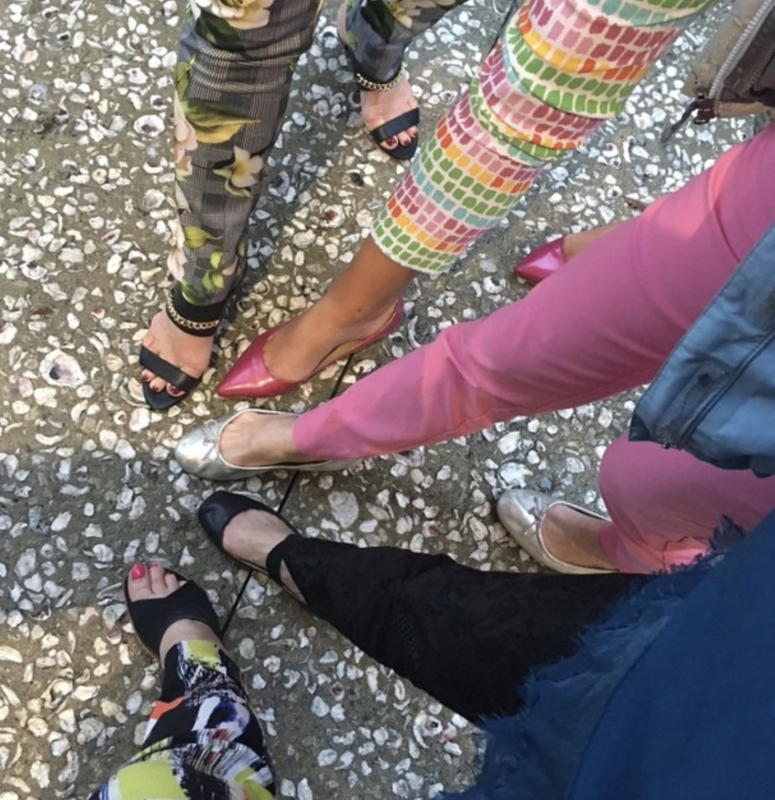 Expect nothing less than daring with Krazy Larry pants for the Spring 2019 fashion season. These pants taper and are fitted for a sleek look around the ankles. You’ll find the occasional solid color, but this spring collection comes in the entire spectrum of the rainbow. These base tones have sparkle added to them and exciting patterns dyed in. The pants give you pink but with a bright touch or gray matched with floral images and golden pedals. This season’s collection is suitable for high heels and open toes. Krazy Larry’s alligator pattern looks like skin but is a rainbow of colors printed in a rough but stunning pattern that’ll have you being the envy of all your friends! Copyright 2019 Scout & Molly's Kiawah. All Rights Reserved.